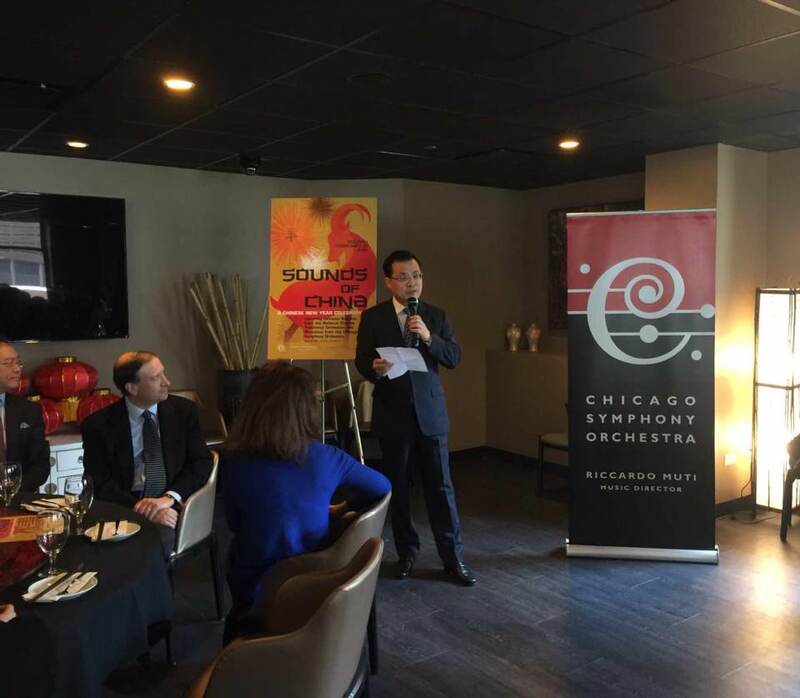 The CSO Chinese New Year Concert will be performed by CSO and China National Orchestra (CNO) on February 15th at the Chicago Symphony Center. It will be the first time for the prestigious orchestras of China and the US to co-host the Chinese New Year Concert in Chicago, which will also be one of the celebrations of the Chinese Spring Festival by the City of Chicago. In his remarks, Consul General Zhao expressed the strong support of the Chinese Consulate General in Chicago, pointing out that this upcoming concert will be of great significance for the cultural exchanges between China and Chicago as well as China and the US, and that is also a special New Year Gift for the people of Chicago.